STRIPED BASS fishing is fantastic. It’s time for shore anglers to hit the SURF...coastal state parks. The fall season appears to be starting off strong, with many charter boat operators commenting on how many large bass there are. These bass are migrating and feeding heavily on all the bait. The best thing is...you catch them during the daytime, especially under overcast skies. Trolling weighted jigs (Chartreuse) with a yellow pork rind and or live lining bunker (Atlantic menhaden) in 15 to 40 feet of water. I like dunking a live eel on the reefs/shoal areas during the late afternoon /evening hours. This technique has produces some very big bass recently...52 inches – 48 pounds, (Outer Bartlett Reef/Norwalk Islands). 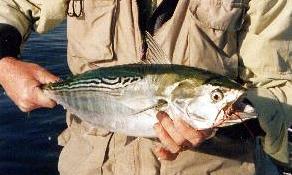 Striper spots include the Watch Hill reefs, Ram Island Reef in Fishers Island Sound, lower Mystic and Thames River, the Race, Sluiceway, Plum Gut, Pigeon Rip, outer Bartlett Reef, Black Point, the “humps’ south of Hatchett Reef, lower Connecticut River, Long Sand Shoal, Cornfield Point, Southwest Reef (outer), Sixmile Reef, Falkner Island area, the reefs off Branford, New Haven Harbor (Breakwalls) and the upper reaches, Charles Island area, lower HousatonicRiver, buoys 18 and 20 off Stratford Point, Stratford Shoal/Middle Ground, Milford Point, Penfield Reef, around the Norwalk Islands, and Cable and Anchor Reef. 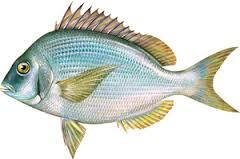 PORGY [Scup] fishing remains the best bet in town. All the party boats are targeting them...that’s how plentiful they are. Hit the coastal state parks and spend time chumming...this will improve your success. 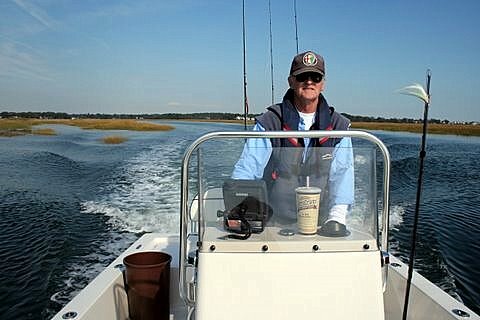 Try these nice shore fishing areas (incoming tide better); Morningside, and Woodmont (Milford), Coast Guard Jetty at Southport Beach, Rick Jetty at Calf Pasture beach, South Benson Fishing Pier, Sherwood Island, Pleasure Beach Fishing Pier, St Mary’s by the Sea, Gulf Beach Pier, Bonds Dock (Stratford) and Long Beach (excellent shore spots). Other shore spots include The Sound School Fishing Pier/Dock, Rocky Neck State Park, Harkness Memorial State Park, Meigs Point, Hammonassett, Sherwood Island State Park, Charles Island and Fort Trumbull State Park. BLUEFISH fishing has improved a little. Bluefish schools are scattered but there are some real “alligators” to 16 pounds out there. Mixed in with striper schools are large bluefish schools which are popping up throughout the western Sound including Middle-ground, Norwalk Islands, Sherwood Island, Compo Beach and Silver Sands State Park. They are feeding on just about any bait or artificial lure you offer them. They can also be found in good numbers the eastern Sound (find the birds). More recently good numbers of bluefish can be found in the lower estuaries, rivers and beaches feeding on menhaden/herring. The “Top-water” bite continues to be very good, look for the “blow-ups”. Bluefish fishing spots include the reefs off Watch Hill, the Race, Thames River, Sluiceway, Plum Gut, Pigeon Rip, lower Connecticut River, Long Sand Shoal, Sixmile Reef, Falkner Island area, New Haven Harbor and upper reaches, lower Housatonic River, buoys 18 and 20 off Stratford Point, Stratford Shoal/Middleground, Penfield Reef, and Cable and Anchor Reef. False Albacore and Bonito fishing is very good. The best I have seen in years...throughout the Sound. Pink is the color of choice. Western Sound anglers are scoring using a Hogy epoxy jigs, the (heavy) minnow jig in pink (Milford Point). These small tunas are fast movers, quickly moving to different locations...keep casting they will show. Still some big catches of these small tunas have been reported from Pine Island, Bluff Point, Groton Long Point, Niantic Bay (Jordan Cove) and points west from Milford, Norwalk, Darien and Greenwich Pt. Park. Shore anglers are scoring at Fort Trumbull, mouth of the Thames River, Ocean Beach, Seaside Park, Harkness Memorial, Hammonasset, Rocky Neck State Park and also at Sherwood Island State Park. These small tunas are also cruising around from Pt. Judith, Watch Hill to Bluff Point (including Fishers Island Sound), the Race to Little Gull Island, from Bartlett Reef to Black Point. Dawn and dusk is typically the best time to fish for these inshore tunas but they can be caught during the daytime. They are feeding heavily of young of the year herring and small crabs Try casting metal (heavy) lures (Swedish pimple, albie snax and Epoxy jigs) to feeding fish on the surface. A quiet approach and finding birds (gulls/terns) actively feeding is the key to a successful trip. Jigging for them also works when they are close to the bottom.